I usually do an album review of artists that i follow but i won't be doing that here, somehow it takes away from the fun of listening to an album and actually enjoying it. So much for the saying Find a Job You Love and You'll Never Work a Day in Your Life. So instead of trying to review this album, imma just talk about the stuff i liked about it. I was kind of surprised by Jay's 13th Studio album, it was different.. different in a good way. 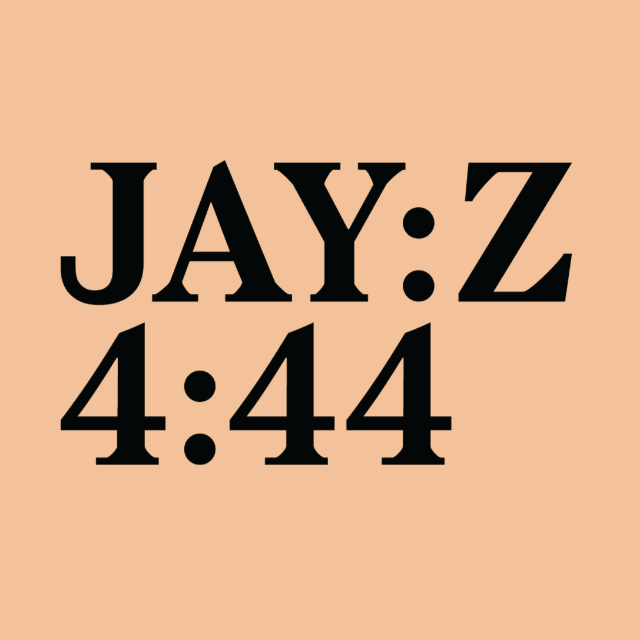 4:44 sees a Jay-Z far removed from the artist that made Magna Carta... Holy Grail. This Jay-Z no longer feels compelled to make an album that would appeal to a larger audience. 4:44 sees Jay-Z talking about meaningful personal stuff like having good credit, support for his mom coming out and being happy (finally), addressing the Ye rants, problems in his marriage, infidelity and a lot more. 4:44 was a departure for me from the type of music that filled the musicsphere of late. It had me feeling like it's ok to hold up my nose to the mumble rap being peddled by the likes of Future, Young Thug & co. I mean here's an album that's Hip-Hop, an album that made sense. To me the album felt just right, it didn't feel overproduced. The No I.D produced beats complimented the verses quite right, the mixing was quite right and as a whole the album felt right. I loved the fact that he kept the songs to just 10, i loved Damian Marley reggae infused chorus. The album felt at lot more cohesive and Jay didn't let down for once, every song had something to take away and as usual quite a few quotables. In some sense this album was basically Jay-Z giving us some glimpses into the life of the man named Shawn Corey Carter. Off the album, i enjoyed a few records a little more than others. The Story of O.J and Bam were my favourite cuts off the album. Kill Jay-Z is another good joint and a great choice for the first song. Smile too, great work by No I.D on this record. Moonlight too. Overall 4:44 is without a doubt one of the two best Hip-hop albums of 2017. It's one of those albums that any self-respecting Hip-Hop head should have in his library, particularly in this day and age.